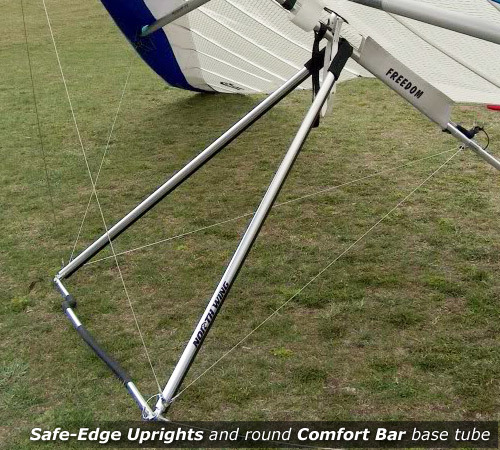 New sail, new rigging, new major junction bolts and complete Airframe inspection and test flight. Free airframe inspection before work is performed. 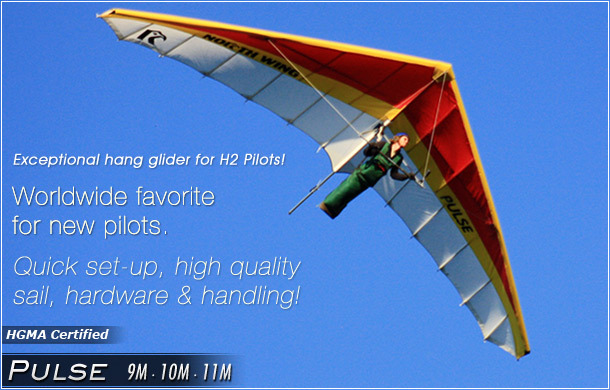 The PULSE is known throughout the world to be the best Hang 2 glider ever produced. 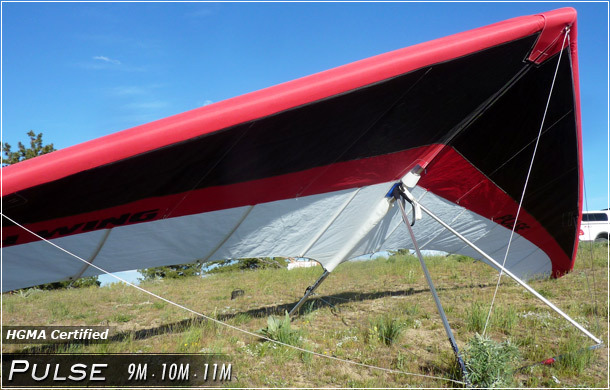 The PULSE has brought thousands of new pilots into the world of Hang Gliding, giving them the confidence to fly safely. 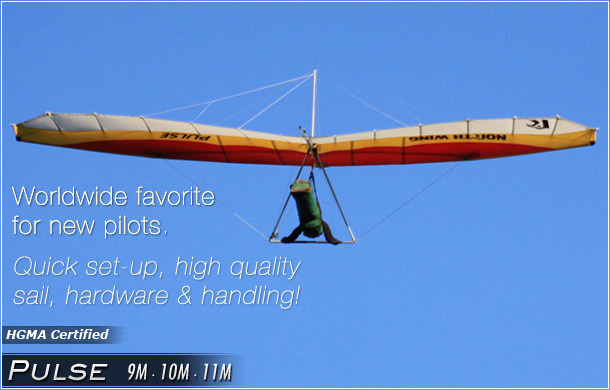 Now, the PULSE is back in production, with the impeccable quality that you expect from North Wing, Inc. 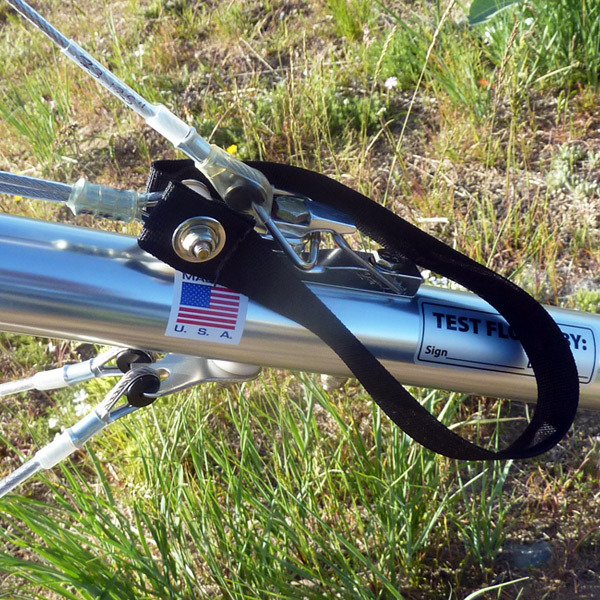 Manufactured to the same certified standards as originally made, the PULSE is HGMA Certified. 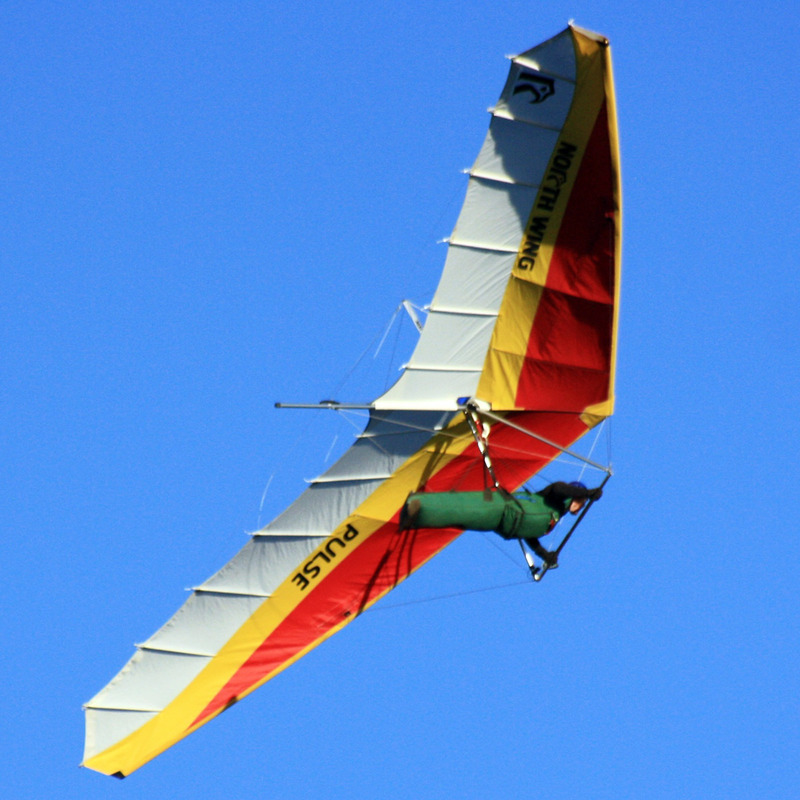 Stock Gliders are available in three color combinations. 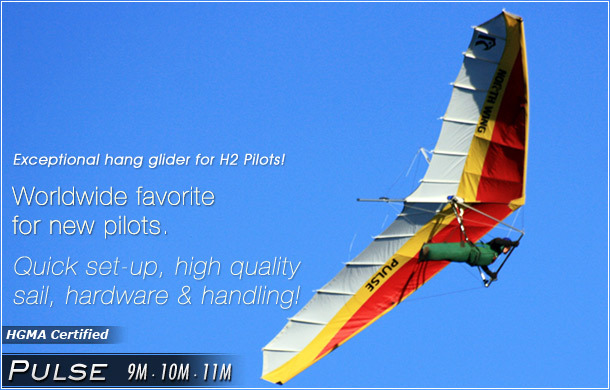 $100 extra for non-stock glider. 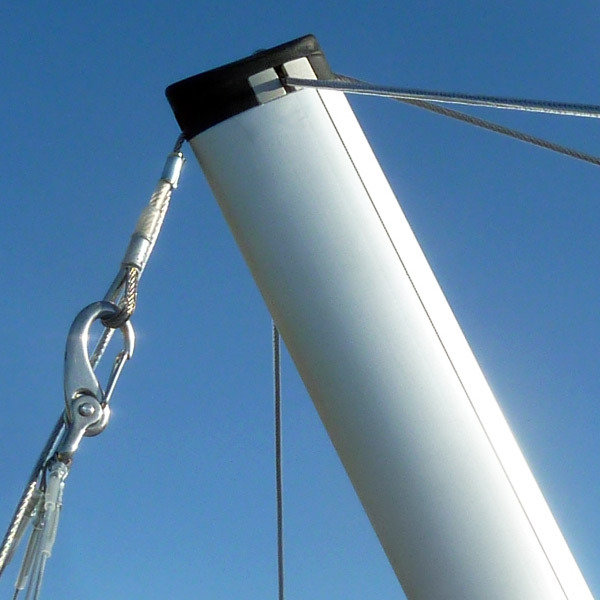 All white main Sail body. 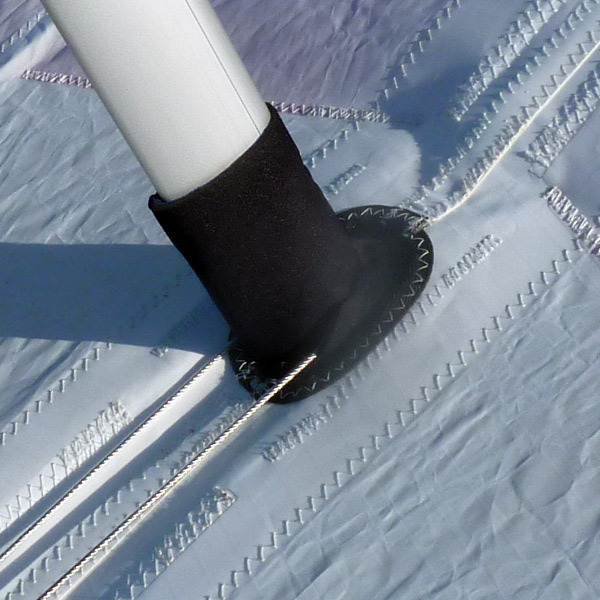 Whoosh Wheels are machined PVC with high quality, and provide a margin of safety for your landings. 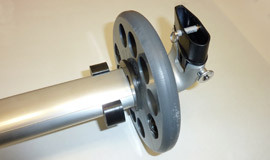 Available for streamlined or round basetubes, either 6.25" diameter or 8" diameter wheels for additional ground clearance. 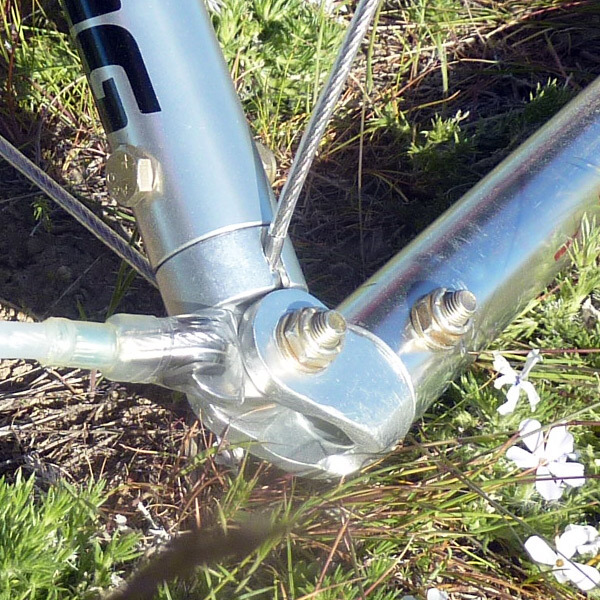 Snap-together wheels for round basetubes (with or without VG), providing additional safety for your landings. 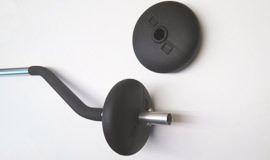 Rugged 5" ABS plastic Wheels for round basetubes, providing additional safety for your landings. 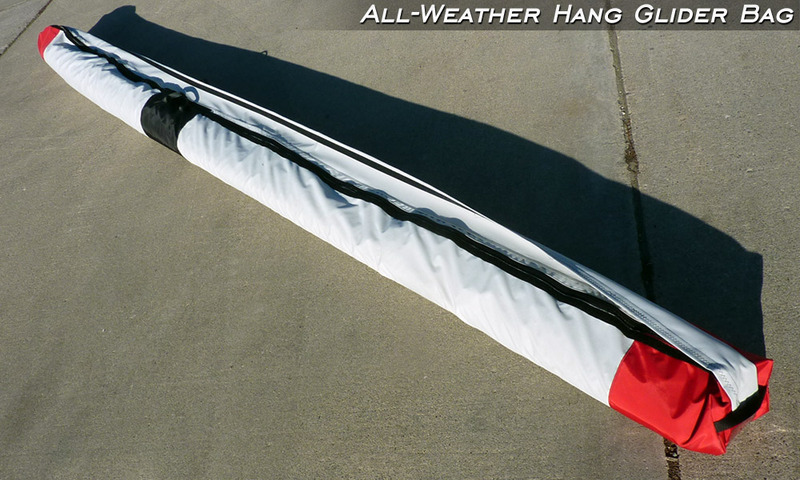 Be assured of maximum weather-resistant protection for your hang glider with the All Weather Glider Bag from North Wing Sports. Sewn from heavy 6 oz “Sunsation” cloth, providing up to 5-year UV protection. 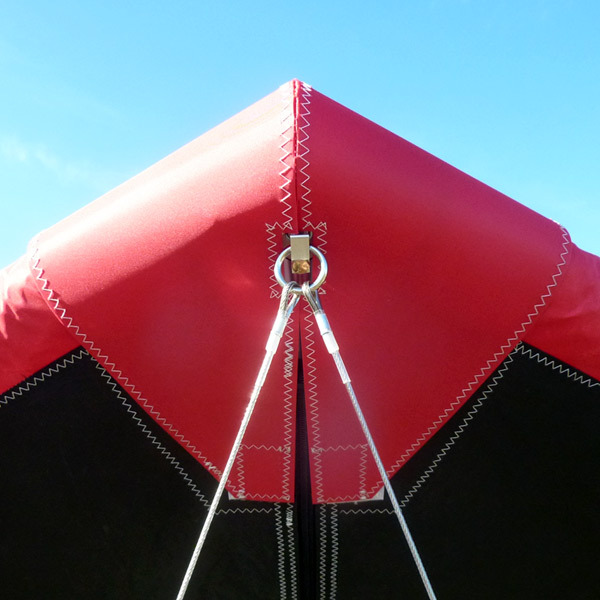 Full-length zipper is protected by a fabric flap that is secured over the entire length by a Velcro seal, ensuring minimal exposure to dust, rain and snow. 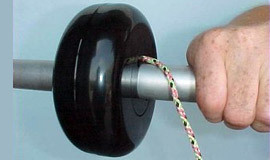 Includes handle for easy carry. Click Here to view a photo enlargement. 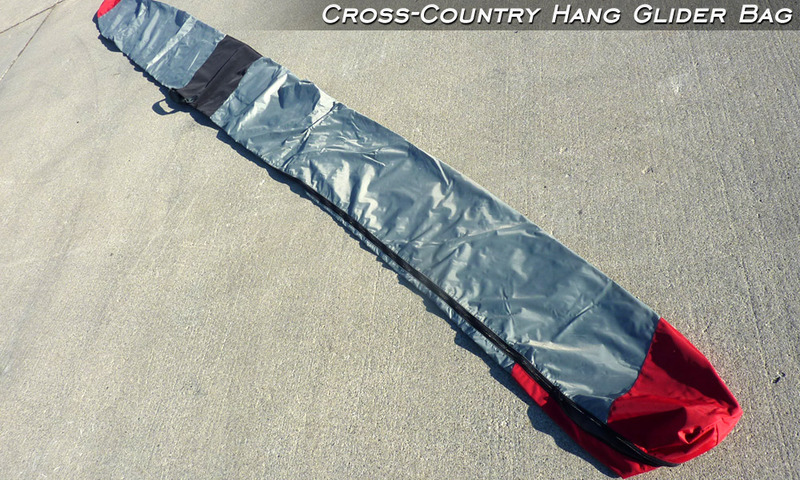 When you're planning a day of get-high go-far hang gliding, bring along the Cross Country Glider Bag from North Wing Sports. 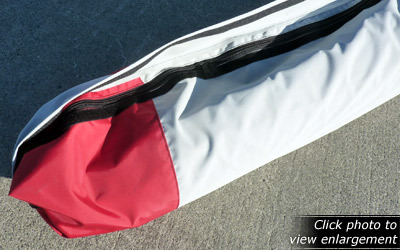 Sewn from strong and lightweight 220 denier Nylon packcloth, the bag has a full-length zipper and handle for easy carry. 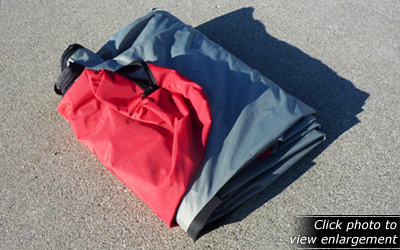 Enjoy full-glider protection on the long ride home with this glider transport bag. Click Here to view a photo enlargement.